Good user experiences are on the tip of everyone’s tongue these days, but at the same time, many job seekers and hiring managers aren’t sure how to approach this fluid design industry to either break in or hire the right people. With this in mind, we couldn’t think of a better time to introduce a brand new career resource, the Onward Search Guide to UX Careers! This simple (and cool looking!) 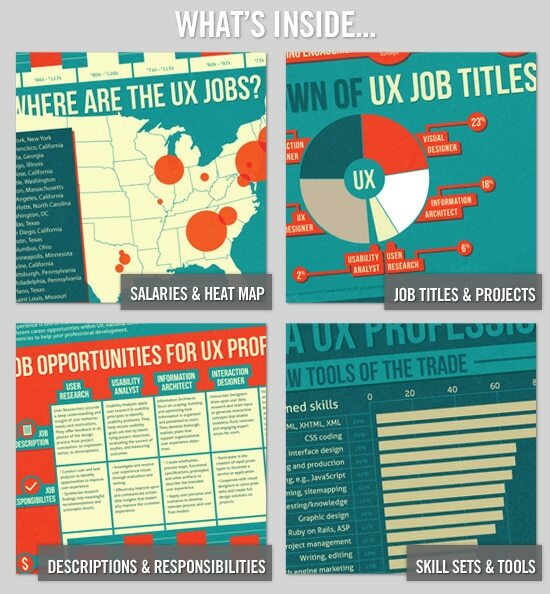 infographic offers super useful information about the user experience industry that will help you either land an exciting UX job or hire the perfect UX talent for your company. So what are you waiting for? Check out the full version of the Guide to UX Careers here in the Onward Search Career Center and tell us what you think of it. If it helped answer your questions and set you in right direction, please share it. You never know who’s looking for a job or a new hire in this exciting field of design!